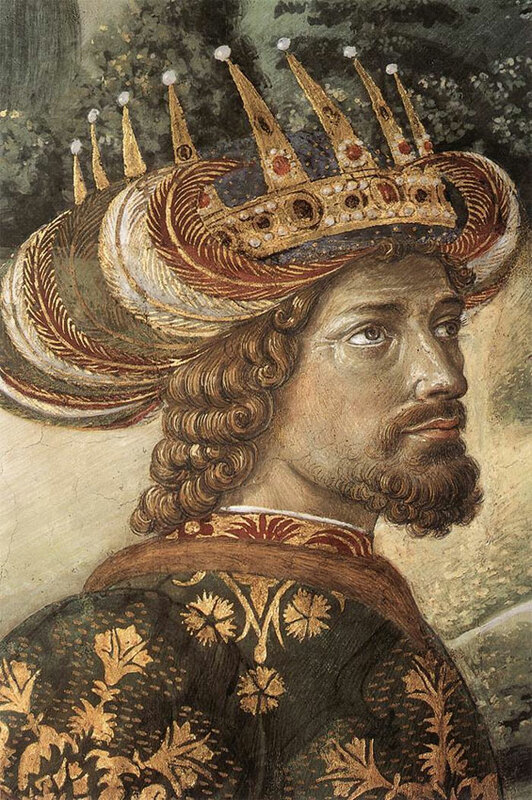 The Chapel of the Magi occupies an important place in the Medici Palace which Cosimo the Elder built, starting in about 1444, in accordance to the architectural design by Michelozzo di Bartolomeo. In its original aspect preceding the "cutting-out" of a corner desired by subsequent owners of the Palace, the Marchesi Riccardi in 1699, the Chapel was perfectly symmetrical, and had its entrance through the central door, which today is closed. Inside, the Chapel is divided into two juxtaposed squares: a large hall and a raised rectangular apse with an altar and two small lateral sacristies. 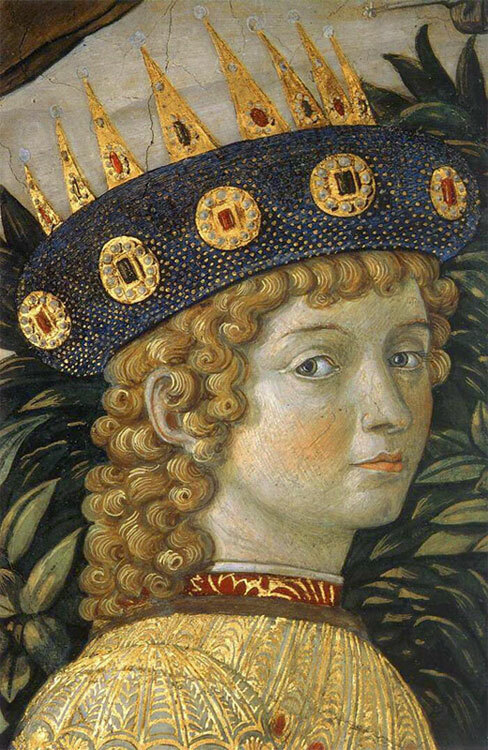 Begun around 1449-50, the Chapel was probably terminated in 1459 with the precious ceiling of inlaid wood, painted and generously gilded attributed to Pagno di Lapo Portigiano, according to Michelozzo's design. The latter also designed the flooring of marble mosaic work divided by elaborate geometric design, which due to the extraordinary value of the materials (porphyries, granites, etc. 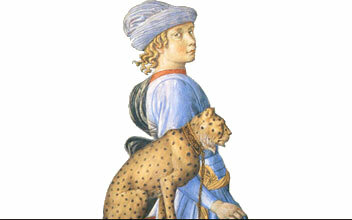 ), affirmed the Medicis' desire to emulate the magnificence of the Roman basilicas and the Florentine Baptistry. 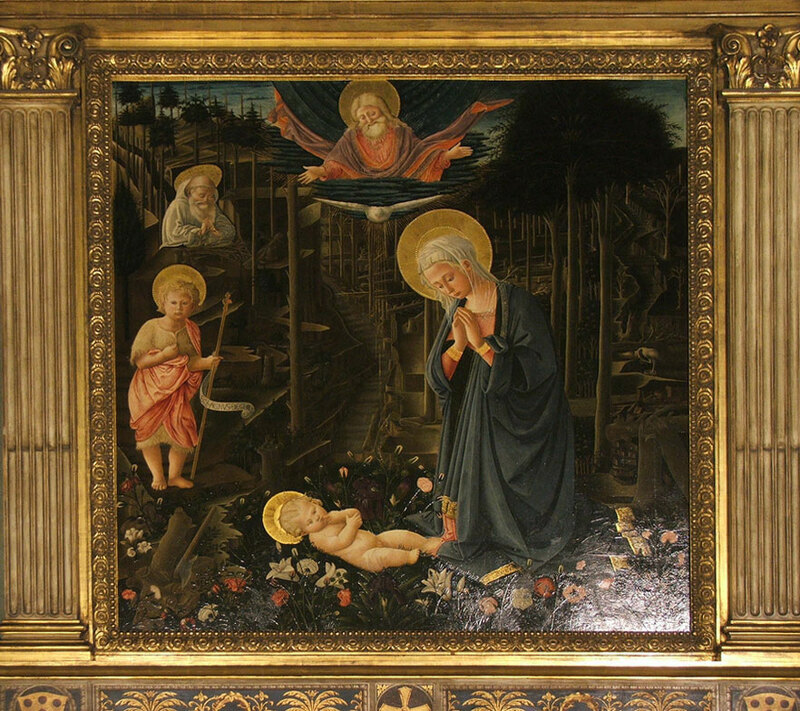 The first pictorial element in the Chapel was the altar panel bearing Filippo Lippi's Adoration of the "Christ Child", which was sold during the last century and today is in Berlin. 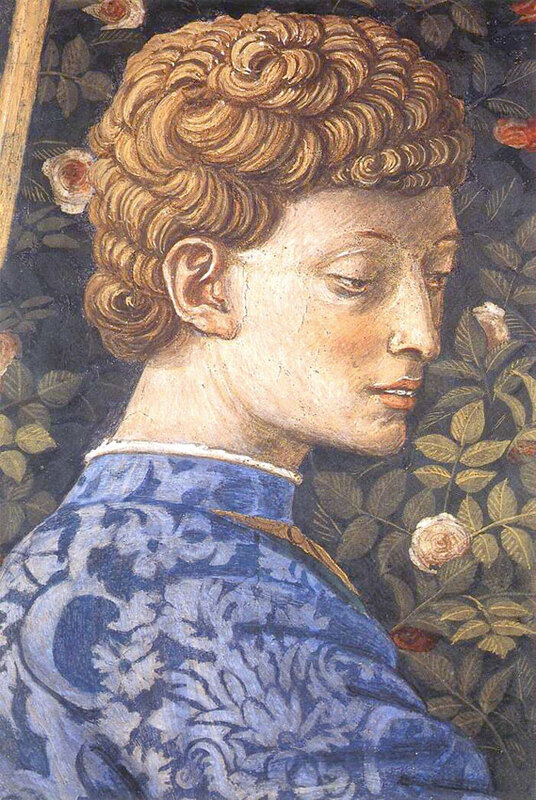 In its place is a copy attributed to the Pseudo Pier Francesco Fiorentino, a follower of Lippi, which has fully regained its orignal beauty due its restoration completed in 1992. The Chapel is famous for the series of wall paintings by Benozzo Gozzoli, with the Angels in Adoration in the rectangular apse and the "Journey of the Magi" in the large hall. 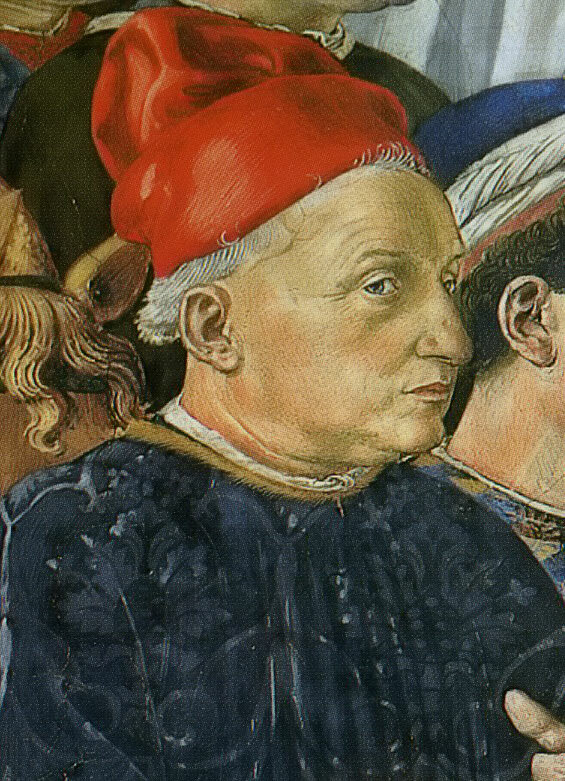 Painted during the years subsequent to 1459, but in any case by 1463, they represent the masterpiece oft his painter, dedicated to a sacred subject but rich in traces of pomp and seculare legance with all the care that Cosimo and Piero de' Medici - as exigent buyers and connoisseurs of art - expected of him. 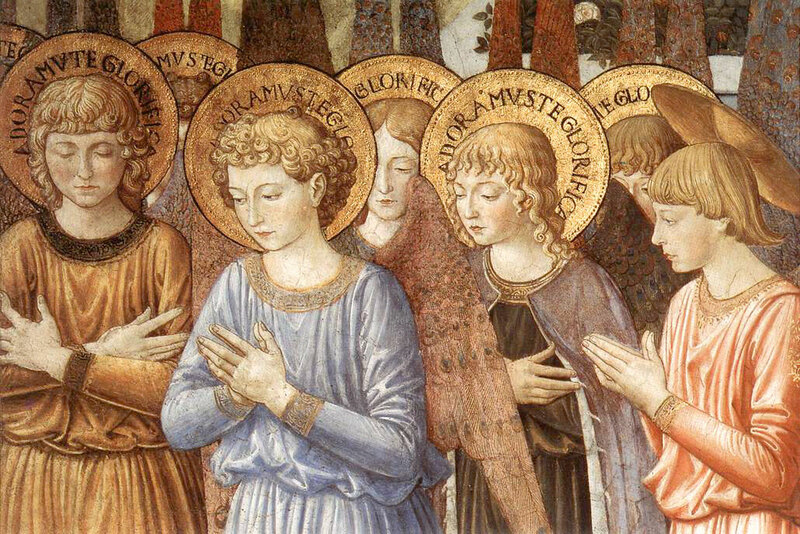 Hosts of angels sing and adore on a rural background civilly partioned, like the typical Florentine countryside. 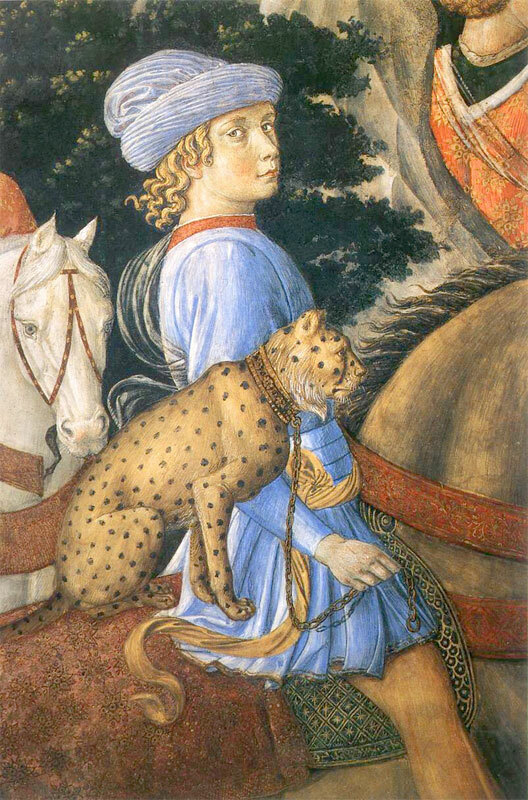 While the magnificent procession of the Three Kings approaches Bethelem accompanied by their respective entourages they enjoy the scene of a noble hunting party with falcone and felines along the way. The sumptuous and varied costumes with their princely finishings make this pictorial series one of the most fascinating testimonies of art and costume of all time. Among the followers of the Magi there are numerous family portraits. 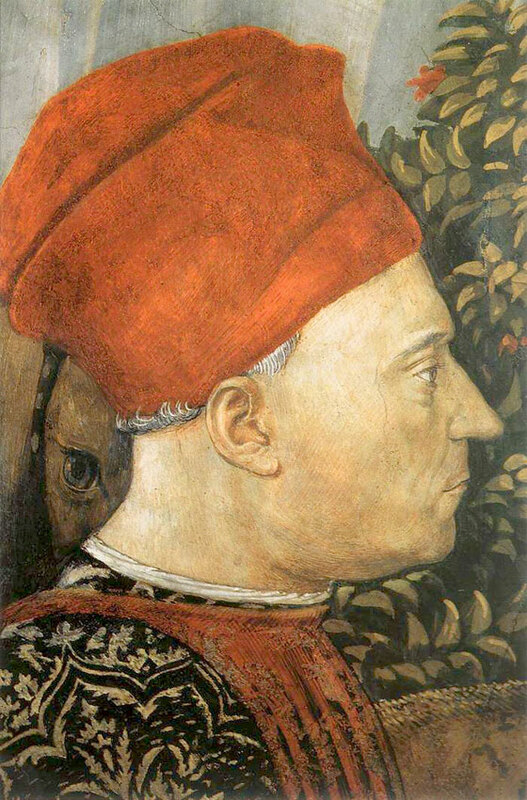 On the north wall, in the entourage of young King Kaspar (whom poetic tradition considers an ideal portrait of Lorenzo de' Medici, the future "Magnifico"), may identified Cosimo with his sons Piero, Giovanni and Carlo, the young princes Lorenzo and Giuliano di Piero and the painter Benozzo. 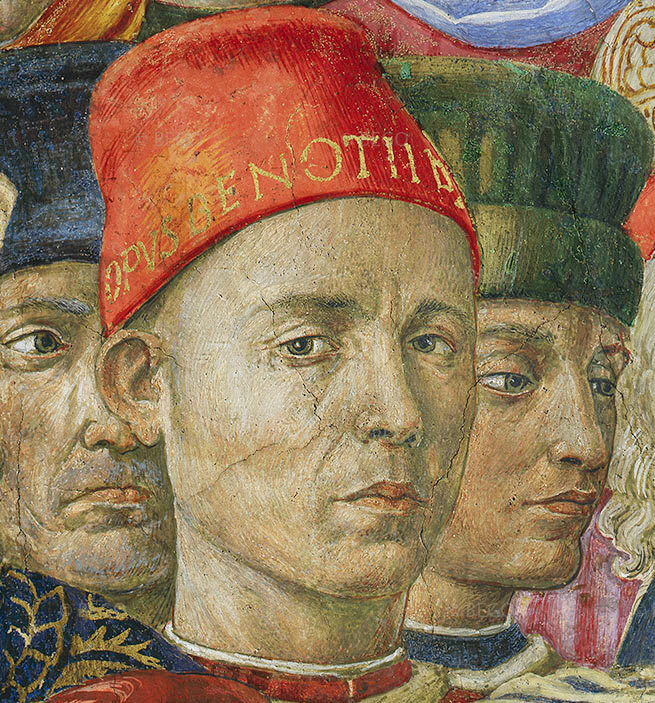 The restoration of the paintings (1987-1992) have revealed a refined and complex operational technique and made it possible to fully appreciate Benozzo's compositional capacity. 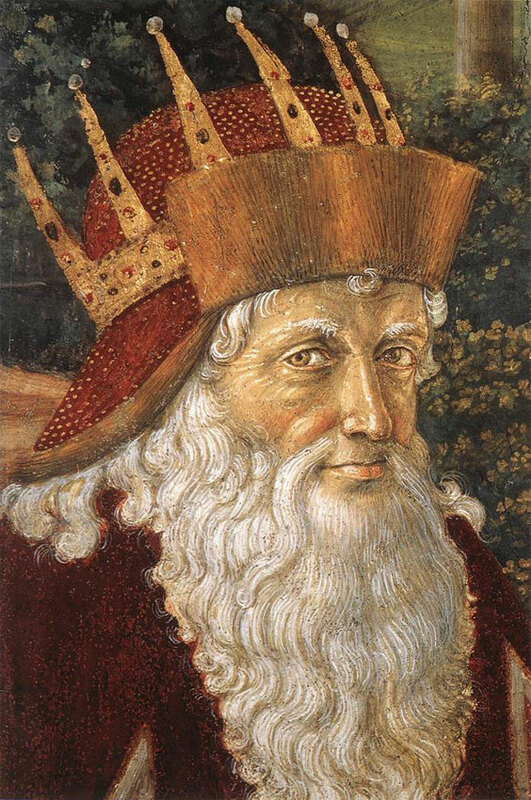 He was a skilled constructor of animated landscape backdrops in perspective, besides being an analytical witness of the knightly pomp of the Court, in which are incorporated the memories of magnificent parades which, during the Feast of Magi the and on other important celebrative occasions, wended their way along the Via Larga under the palace windows. The precious interior decoration of the Chapel is completed by a wooden baldachin worked in inlay and carving, whose architectural design is attributed to Giuliano da Sangallo, around 1469.